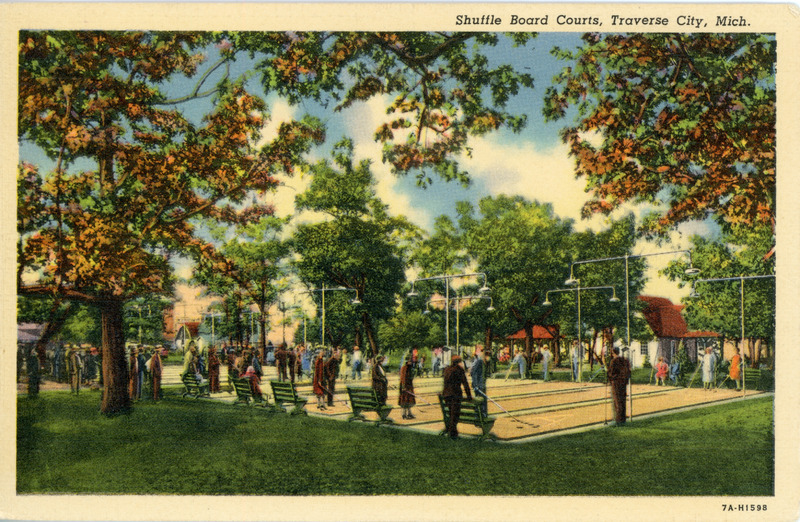 Colored postcard of shuffle board courts, with many players and a milling crowd, located in Traverse City. Hopkins Camera & Gift Shop, Traverse City, Mich.
Curteich-Chicago, “"Shuffle Board Courts, Traverse City," ca. 1940,” TADL Local History Collection, accessed April 21, 2019, https://localhistory.tadl.org/items/show/1969.